A completely innocent person has been accused and sentenced to jail in Iran. 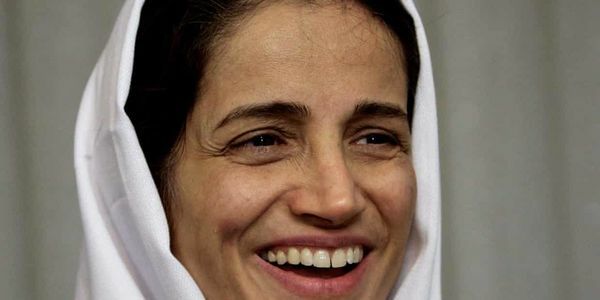 Nasrin Sotoudeh was charged with spying, insulting Iran's supreme leader and assembling against national security. She now faces 148 lashes and 38 years in prison — a harsh sentence, even for Iran's very low standards. Nasrin has already served three years in jail for a similar "crime" and, on her release, was awarded her the Sakharov human rights prize by the European parliament. Last week, UN investigator on human rights in Iran, Javaid Rehman raised the issue in Geneva, stating that "worrying patterns of intimidation, arrest, prosecution and ill-treatment of human rights defenders, lawyers and labour rights activists signal an increasingly severe state response." This pattern must be stopped. Iran cannot play around with people's lives — and we are only aware of the more famous cases. How many innocent, unknown people have been jailed and killed in this country? Iran, we ask that you reverse the sentence, today!